Hull is the City of Culture for 2017. Did your ancestors come from the historic and ancient City of Kingston upon Hull? Did they leave their mark like the man who drew the Dead Bod on the side of the river Humber, or like the many people featured in the Made in Hull celebration? Dead Bod was a piece of 1960’s graffiti at Hull’s Alexandra Dock that became, so some say, a noticeable landmark that fishermen used to help with navigating the River Humber. It has now gained life of its own, and is now part of the Hull City Of Culture 2017 celebrations. Do You Need Help With Your East Yorkshire Family History? The East Yorkshire Archives look-up service is also available for those who require research undertaken at the County Archives in Beverley and The Hull History Centre. 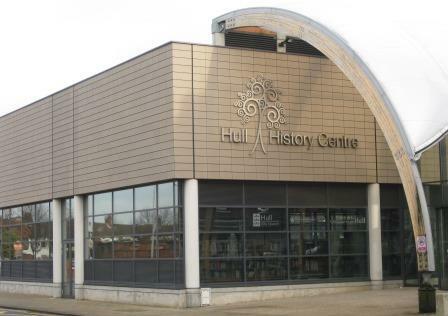 Archives specific to Kingston upon Hull, with the exception of parish registers, may be held at The Hull History Centre. This research is charged at an hourly rate which will include report writing. 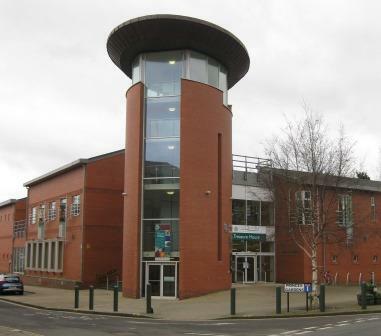 The East Yorkshire Archives in Beverley holds most of the records for East Yorkshire. Please note that some parish registers for parts of East Yorkshire west of Market Weighton and West Heslerton area are held at the Borthwick Institute in York. However copies of the Bishops Transcripts for these parishes are also held in Beverley. Trade directories for the East Riding and some for the North Riding, dating from 1791-1939. For a full list you can access their online catalogue. For a full list of their holdings you can search their online catalogue here. Please note they do NOT hold Parish Registers. These are held at he East Yorkshire Archives, Beverley.